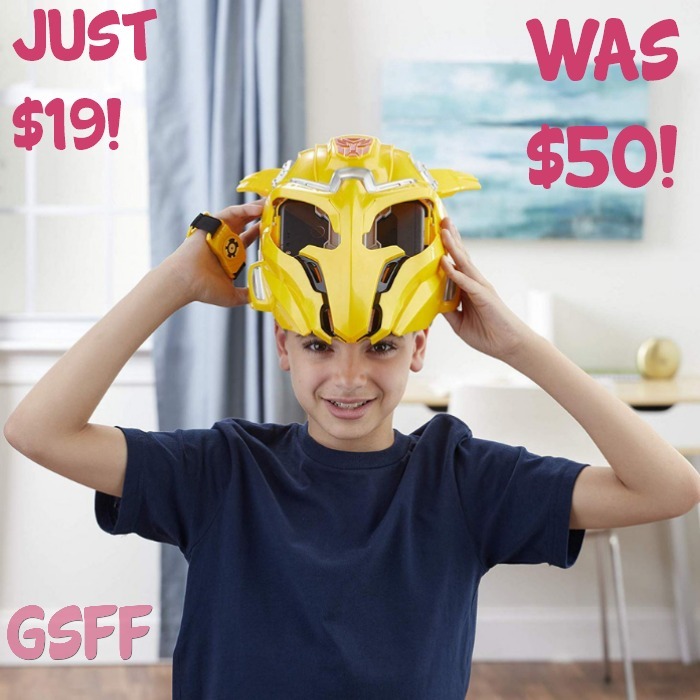 Bumblebee Mask Just $19.99! Down From $50! PLUS FREE Shipping! You are here: Home / Great Deals / Amazon Deals / Bumblebee Mask Just $19.99! Down From $50! PLUS FREE Shipping! Check out this Bumblebee Mask which is on sale at Amazon for only $19.99 down form $49.99 PLUS FREE shipping! Are you ready? Bee vision Tech puts kids in a world where they are the hero. It’s an awesome, immersive experience that lets kids see through the eyes of Bumblebee and harness his power like never before. With the Bee vision Bumblebee (augmented reality) experience, inspired by the Transformers: Bumblebee movie, kids are ready to gear up like Bumblebee and take down the Decepticons. It makes a great gift for kids!